Large heterogeneous online repositories of scientific information have the potential to change the way science is done today. In order for this potential to be realized, numerous challenges must be addressed concerning access to and interoperability of the online scientific data. In our work, we are using semantic web technologies to improve access and interoperability by providing a framework for collaboration and a basis for building and distributing advanced data simulation tools. Our initial scientific focus area is the solar terrestrial physics community. In this paper, we will present our work on the Virtual Solar Terrestrial Observatory (VSTO). We will present the emerging trend of the virtual observatory – a virtual integrated evolving scientific data repository – and describe the general use case and our semantically-enabled architecture. We will also present our specific implementation and describe the benefits of the semantic web in this setting. 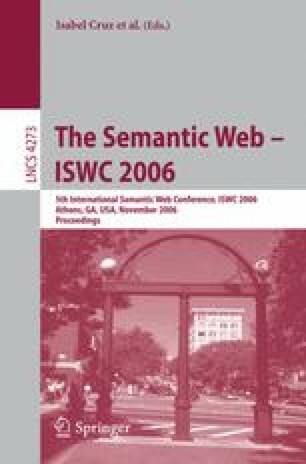 Further, we speculate on the future of the growing adoption of semantic technologies in this important application area of scientific cyberinfrastructure and semantically enabled scientific data repositories.